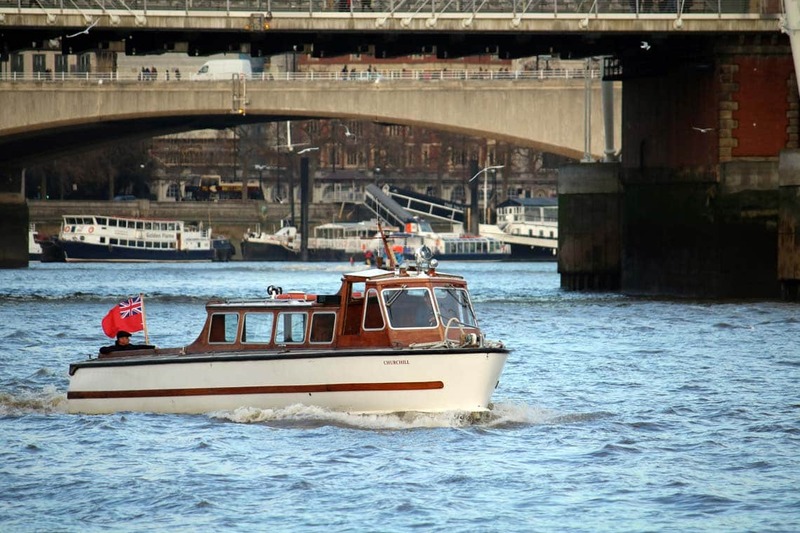 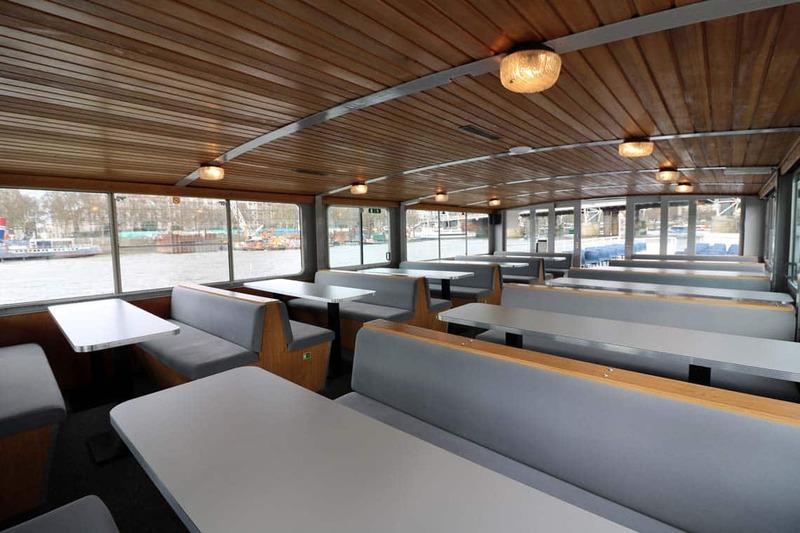 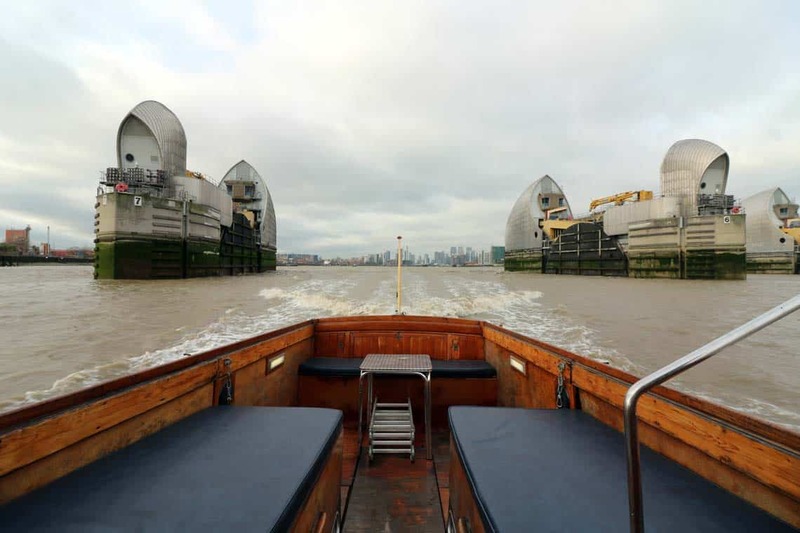 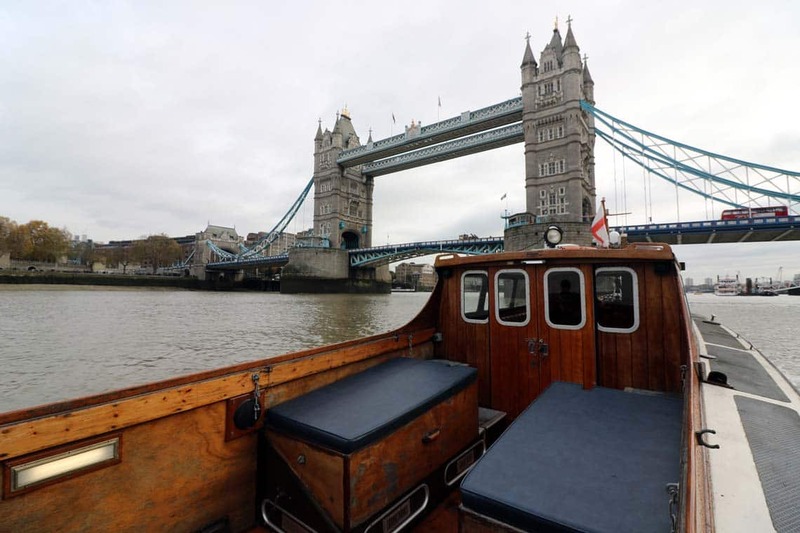 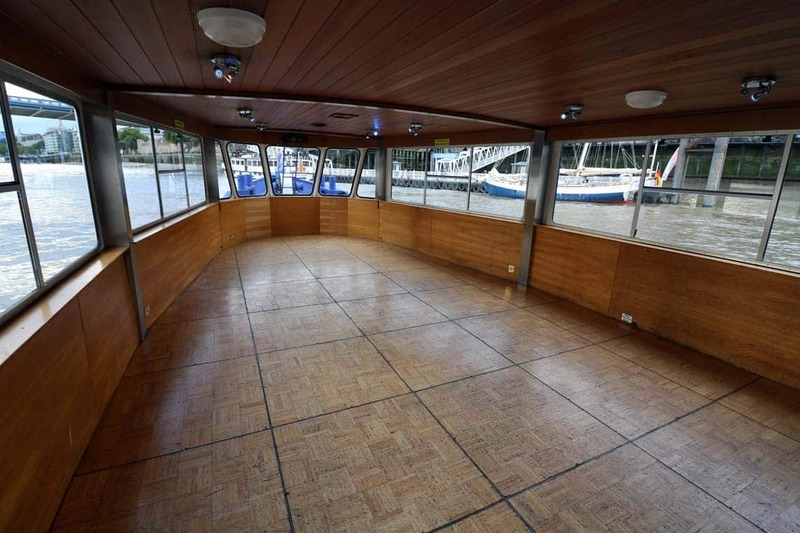 M.V Churchill has been restored to her former glory and is now available for private hire on the River Thames. 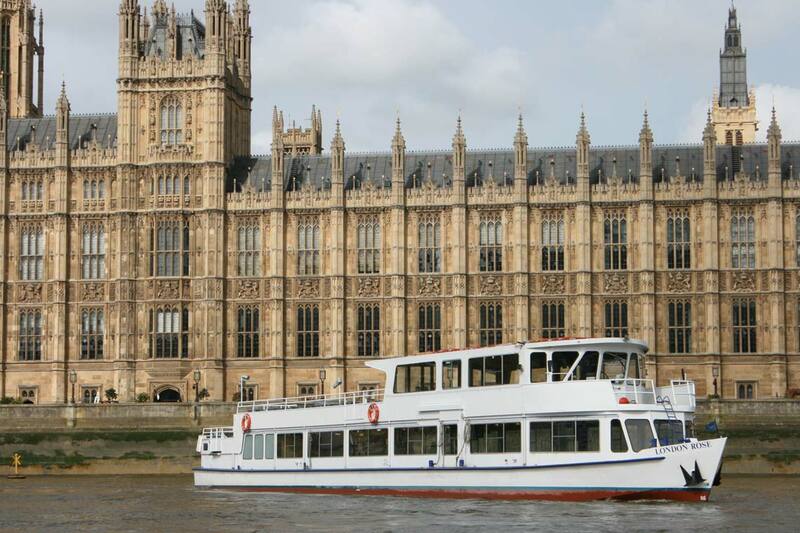 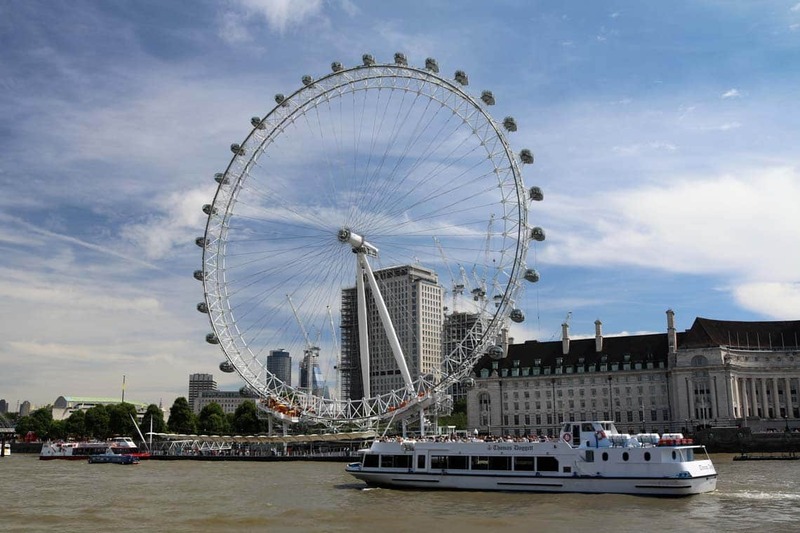 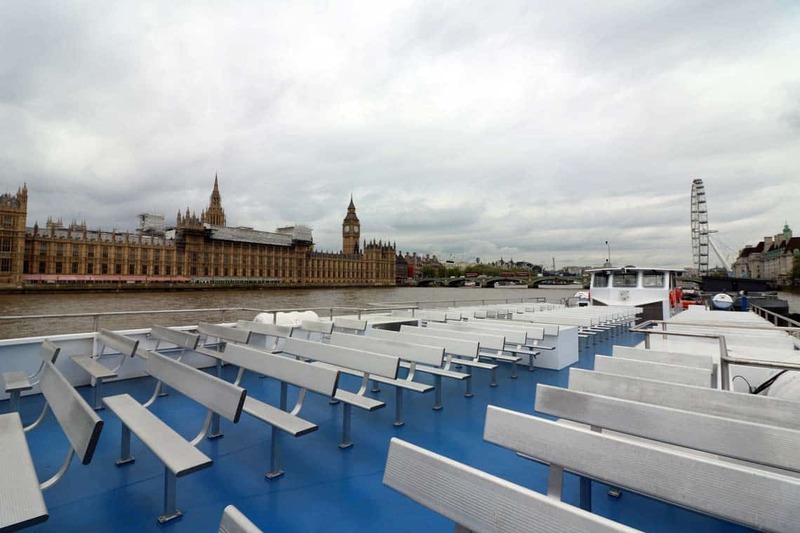 Churchill can comfortably carry up to 12 passengers to and from multiple destinations on the River Thames. 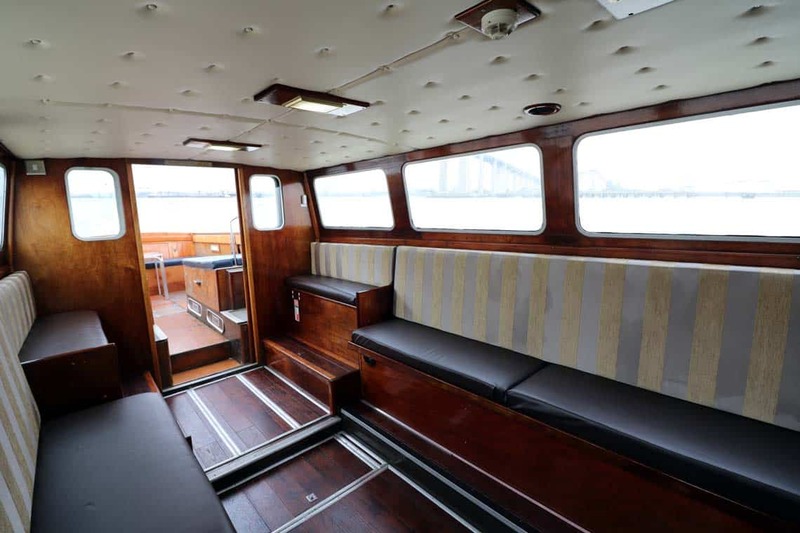 The interior saloon is furnished with sleek upholstery and an elegant wood finish. 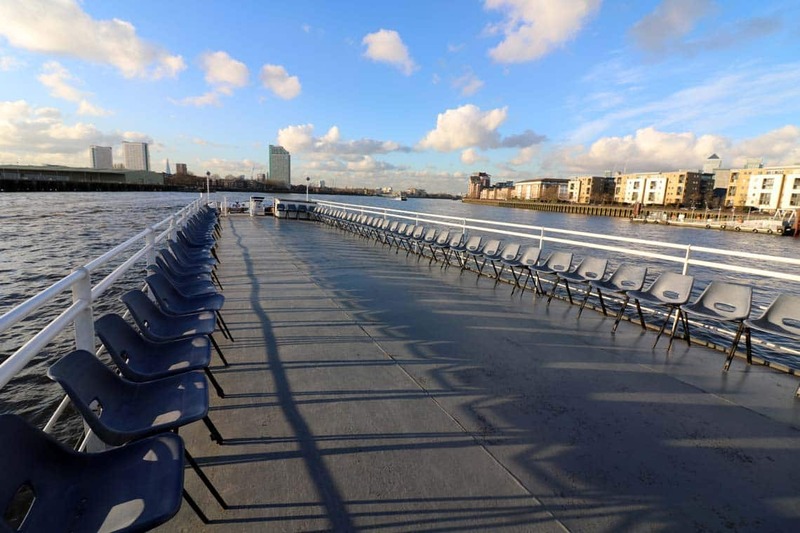 The alfresco deck features padded seating where you and your guests can sit back, relax and watch the sights of London pass by. 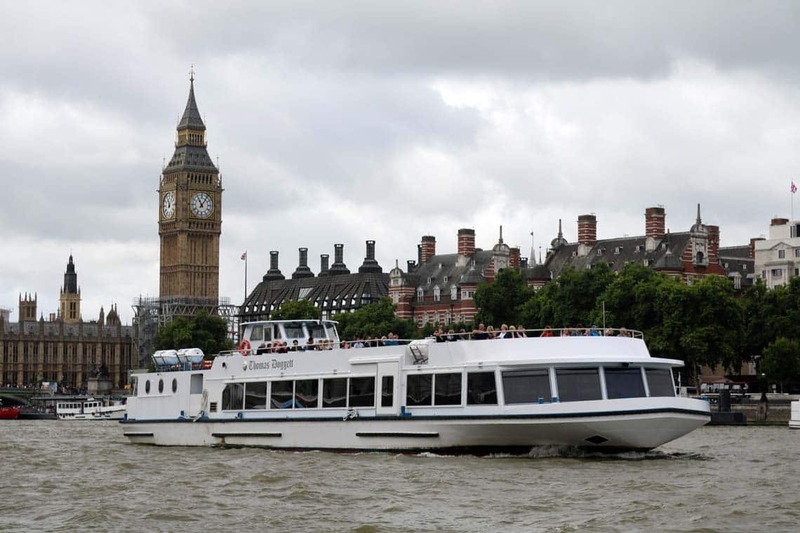 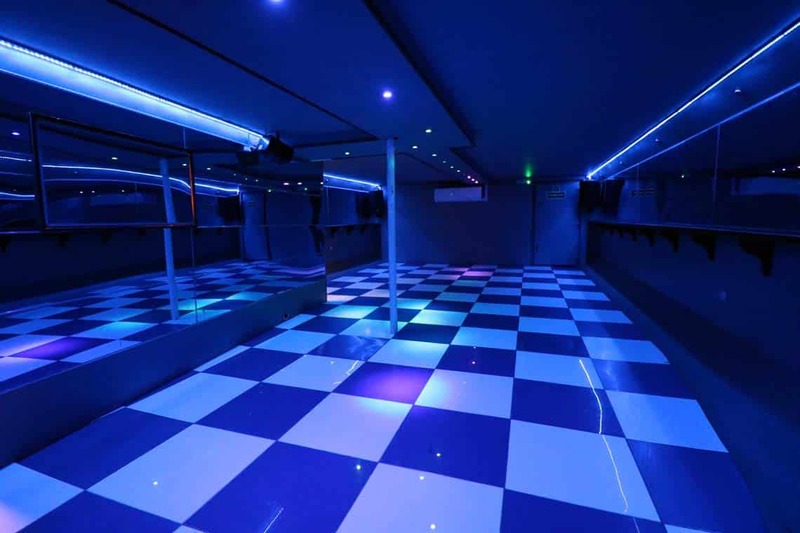 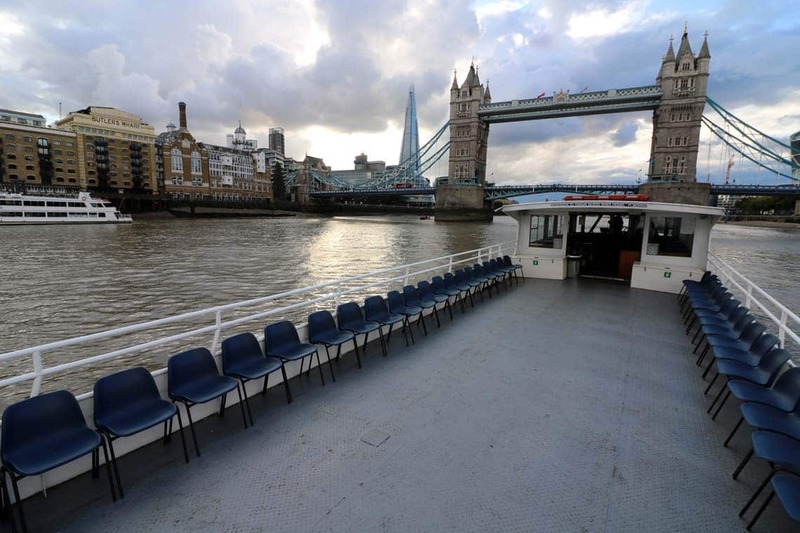 Churchill is perfect for high-speed transfers to and from venues such as the o2 Arena and a wide range of Canapés and reception drinks are available to compliment your charter. 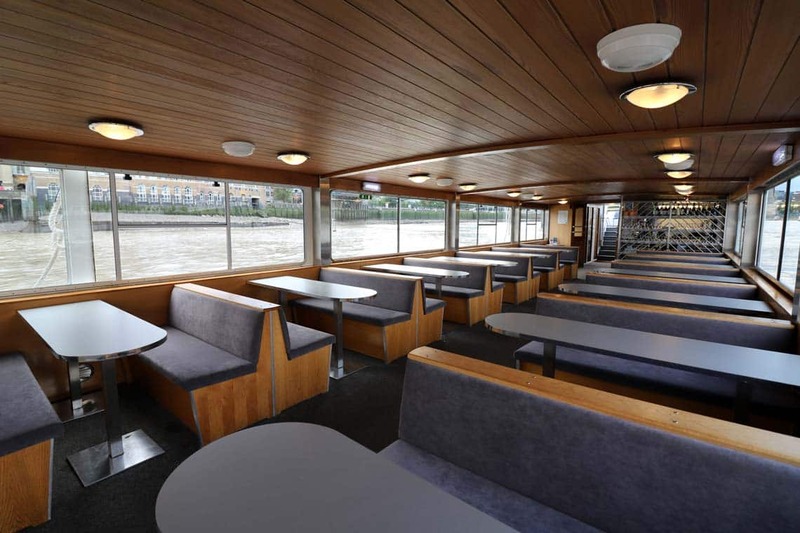 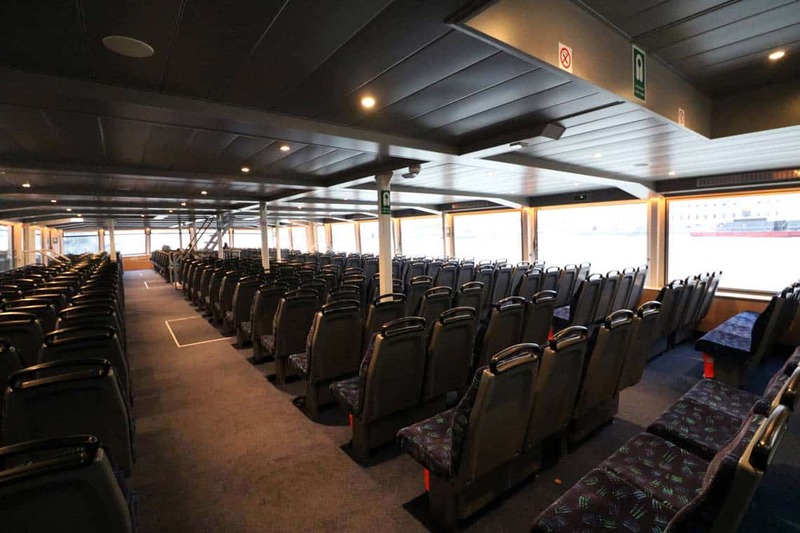 Whether you are looking for a small vessel for a sightseeing cruise, river transfer or romantic cruise travel in comfort aboard M.V Churchill. 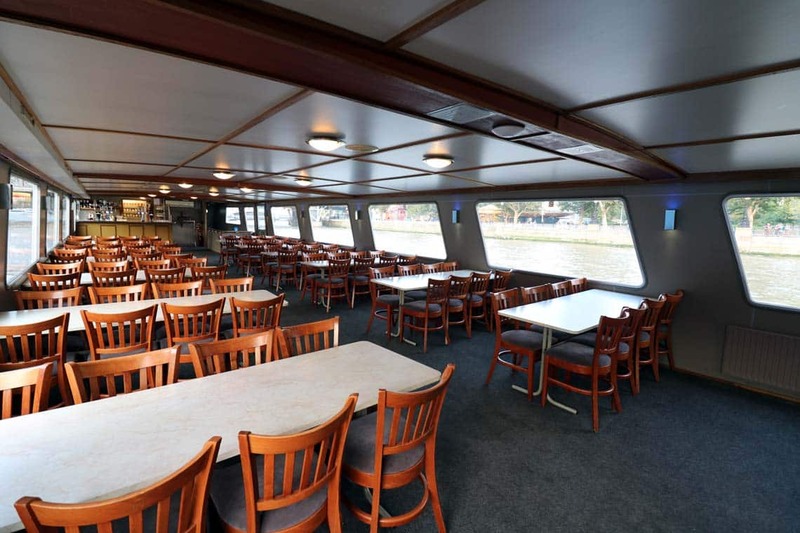 * All Class V charters are charged at a minimum of 4-hours. 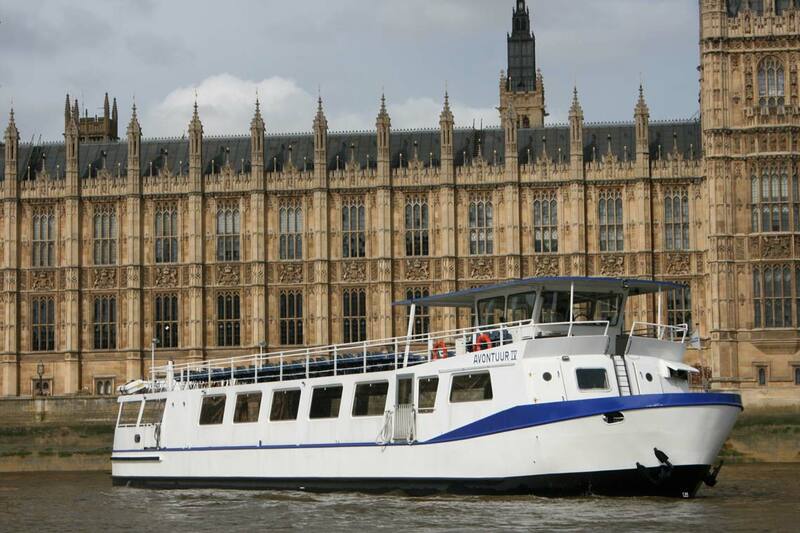 All Executive Launch charters are charged at a minimum of 3-hours.